Faced with the new scientific claims that Melissa Trotter died soon before her body was discovered, and given that the State had withheld from the defense critical evidence of a stalker who threatened Melissa's life, the Texas Court of Criminal Appeals granted Larry Swearingen a second stay of execution. Once again, the stay came only one day before Swearingen was to be put to the needle. Once again, Texas Governor Rick Perry declined to intervene. The fact that Larry Ray Swearingen is alive today has nothing to do with the executive clemency stewardship of Rick Perry. The CCA instructed the original trial judge to hold hearings regarding the new scientific claims and to make a recommendation about Swearingen's case. The trial judge found no basis for granting a new trial. In its majority opinion, the CCA simply adopted the findings of the trial judge without comment. They denied Swearingen's appeal. CCA Judge Cathy Cochran filed a lengthy concurring opinion in which she attempted to rationalize the Court's irrational decision. 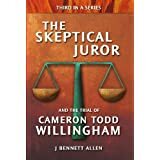 She began by suggesting that the validity of the scientific evidence must not be determined by the scientists; rather she insisted the science be dismissed if the Court found the circumstantial evidence more compelling. From Judge Cochran's concurring opinion in Ex Parte Swearingen (2009). To assess applicant's latest claims, one must weigh their merits relative to all of the other evidence in this case. Judge Cochran then listed the circumstantial evidence against which the scientific conclusions would be weighed. That list will be discussed momentarily. Judge Cochran concluded by declaring that the scientific conclusions were at odds with the circumstantial evidence and the science should therefore be rejected. As it turns out, the "incredible wealth of other evidence" used to convict Larry Swearingen is much like the evidence proving the existence of Santa Claus. The evidence is great in quantity but low in quality. 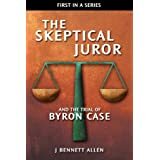 I address below some of circumstantial evidence identified by Judge Cochran as more trustworthy than the scientific findings. In the excerpts, I have replaced each use of the word "applicant" with "Swearingen." From Judge Cochran's list of circumstantial evidence allegedly proving Swearingen's guilt. More specifically, each of three eyewitnesses testified that Larry Swearingen was the person they had seen with Melissa Trotter in the Montgomery College library sometime between 11:30 AM and 1:30 PM on December 8. One witness testified that he had seen the Swearingen from the side for approximately 5 seconds. Swearingen was wearing a cowboy hat, a blue coat, blue jean pants, and boots. The witness testified that the person he saw had blond hair. Swearingen has black hair. Another witness claimed to have been about 15 feet away from Swearingen, and also viewed him only from the side. That witness described Swearingen as wearing western wear and a baseball cap, not a cowboy hat. That witness initially did not identify anyone in the courtroom as the person he saw with Melissa Trotter. After coaching from the District Attorney, he identified Swearingen as the person most likely to be the one he saw. Each of the eyewitnesses had been biased by an earlier, suggestive photo lineup. In that photo lineup, the police placed Swearingen standing with blonde males of smaller build. Swearingen was wearing jail clothing. Short of a name tag that said "Pick Me", Swearingen could not have been more distinctive. Though called as a State's witness, Melissa's biology teacher contradicted the three eyewitnesses. The biology teacher testified that Melissa was in a review session he provided for an impending final exam. That review session lasted from 11:30 AM to 1:30 PM. Melissa was present at that session. She therefore could not have been in the library. Swearingen's cell phone records and a sales receipt also establish that he could not have been in the library between 11:30 AM and 1:30 PM. Calls at 10:17 and 10:42 placed Swearingen at a Sears Automotive Center, where he was having some automotive work done. That call placed him near, but not at the college. A sales receipt time-stamped at 11:39 placed Swearingen at Cavendars Boot Town located 20 miles south of the college. A call placed at 12 noon placed Swearingen near the intersection of FM 1960 and I-45, 14 miles south of the college. A cell phone call at 1:15 placed Swearingen near the college where he soon thereafter spoke with Officer Gail Wilson. He was not then in company of Melissa Trotter. He then met Melissa that day only briefly and only after speaking with Officer Wilson, around 1:30 PM. Larry Swearingen left the school alone. At 1:37 PM, Melissa Trotter used her computer to access her email. Larry Swearingen was an electrician. Well before his arrest for the murder of Melissa Trotter, he had suffered chemical exposure after an electrical transformer exploded. This exposure caused him to suffer occasional outbreaks of welts on his back, neck, and face. His wife confirmed the accident and the affliction during her testimony. When shown the photos of the red marks on Swearingen after his arrest, she testified that the marks looked like the welts she had seen on him before. Judge Cochran seriously misstated the evidence. Criminalist Sandra Musialowski testified at trial that the hairs contained microscopic characteristics similar to the victim. However, in a pre-trial report submitted to the District Attorney, Musialowski explained that the "hair does not possess sufficient unique individual microscopic characteristics as to be positively identified as coming from one particular person to the exclusion of all others." Despite Judge Cochran's summary of the "known facts", the hairs found in Swearingen's truck were never established to belong to Melissa Trotter. At trial, under carefully crafted questioning by the State, Musialowski somehow failed to mention her inability to positively identify the hairs as coming from any particular person. Instead, she suggested that the hairs came from Melissa Trotter. Q. ... do you know whether or not the hairs in this exhibit are the forcibly removed hairs from the suspect's vehicle? Q. Belonging to the victim? A. Which contain microscopic characteristics similar to the victim. Q. Those are the ones forcibly removed? A. Yes, there were two of them forcibly removed. While Musialowski's testimony may have been strictly correct, Musialowski left a compliant jury, a compliant appellate court, and a compliant Judge Cochran with the distinct impression that the hairs came from Melissa Trotter. Judge Cochran seriously misstated the evidence. The evidence was not that the cigarettes and lighter belonged to Melissa. The evidence was that the cigarettes were Marlboro cigarettes, the same brand as smoked by Melissa. The evidence was that the lighter was similar to the one used by Melissa. DNA testing on the Marlboro cigarettes found at Swearingen's home excluded Melissa as the person who smoked them. A criminalist for the Department of Public Safety testified that the plastic wrapper from the Marlboro package found in the Swearingen's home did not match the plastic wrapper from the Marlboro package found in Melissa's car. It seems, however, that Terry Swearingen, Larry's wife, may have been a secret smoker. Though she testified that she didn't smoke and had never smoked, she conceded that she had bummed cigarettes from her relatives. In fact, she testified that she had bummed Marlboro cigarettes from her relatives. Evidence collected by the Montgomery County Sheriff's personnel showed numerous Marlboro cigarettes and butts collected from the yard and trash of Swearingen's home. Police searched Swearingen's home twice before the pantyhose were discovered. On December 15, five or six deputies, among them two crime scene investigators, searched Swearingen's mobile home. They searched every room, looked through boxes of clothes, and looked through the trash. Three days later, officers conducted a search that was just as thorough. In neither search did the investigators find a ripped pair of pantyhose. The pantyhose were discovered a week later by Swearingen's landlord. The landlord was cleaning the mobile home in preparation for the next tenant. The landlord either found the pantyhose in the trash or placed them in the trash after finding them in a box of clothes. Recall that the police investigation was sufficiently thorough that they found cigarettes and cigarette butts in the yard and trash. They did not, however, find the pantyhose in the trash or elsewhere. Assuming either of the two police search teams performed a thorough search, the pantyhose were not in Swearingen's home when they searched it. Someone other than Larry Swearingen must have been placed them in or near his mobile home. Judge Cochran meant Luminol with an "o", not Luminal with an "a". Luminal is the trade name of a drug used to control epilepsy. Luminol is a chemical that glows a striking blue when mixed with certain substances. Classically, that certain substance is the iron in blood, but other substances will also work. Armor All is not one of those other substances. When investigators tested for blood, they found none. Judge Cochran's suggestion is that blood must have been there because Swearingen recently cleaned or treated the seats of his truck with Armor All. The fact is, no blood was found. The finding of Armor All wipes in the trash of Swearingen's home points as much to Swearingen's innocence as it does his guilt. Though the investigators searched with sufficient diligence to find empty Armor All containers in the trash, along with cigarettes and cigarette butts not belonging to Melissa, they did not find the pantyhose. The pantyhose turned up only after their search, only after Swearingen had been in jail for more than a week. While putting out his garbage, John Parsley found multiple torn pieces of paper along the ditch area in front of his home. His normal trash days were Monday and Thursday. Before the discovery of the torn paper, there had been two trash pickups. Parsley observed no torn papers while putting out his trash on either the 10th or the 14th. The papers appeared only after Swearingen had been in jail for a week, not long before the pantyhose remnant was mysteriously found in Swearingen's apartment. The State had no direct evidence that either Swearingen or Trotter was at the nearby Texaco-McDonald's that day. The State simply presumed Swearingen and Trotter had been there since Swearingen asked a friend to claim she had been there with him. The State presumed also that Melissa Trotter must have consumed Chicken McNuggets, since some chicken had been found in her stomach. Each presumption allegedly proved the other. This is an illogic known as circular logic. Two of the most inculpatory pieces of evidence proving that Swearingen murdered Melissa on December 8th were: (1) the pieces of potato, chicken, and green vegetable that Melissa ate for lunch immediately before disappearing that were found in her stomach during the autopsy on January 3, 1999. Doctor Joye Carter testified at trial that food remains in the stomach for about two hours after eating it. (2) Cell phone records showing Swearingen used his cell phone at 3:03 p.m. on December 8th near the cell phone tower at FM 1097, a highway that crosses I-45 well north of Swearingen's trailer house. This is directly on a logical path to the Sam Houston National Forest where Melissa's body was found three weeks later. Judge Cochran continued to cling to the absurd claim that stomach contents will be perfectly preserved in a corpse for three weeks. 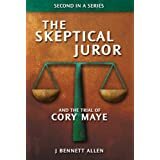 She pointed to Dr. Carter's trial testimony to support the absurd claim, though Judge Cochran knew that Dr. Joye Carter had recanted her own trial testimony. When Dr. Carter later submitted her affidavit agreeing that Larry Swearingen must have been in jail when Melissa was killed, Dr. Carter was well aware of Melissa's stomach contents. In her recanting affidavit, Dr. Carter also acknowledged that Melissa's body would have lost most of its mass if it had been in the forest for three weeks. Dr. Larkin, in his affidavit, explained Melissa's body would have lost up to 90% of its mass had it been in the forest for 25 days. In other words, her body would have weighed slightly more than ten pounds. To believe that such a desiccated corpse would perfectly preserve tater tots and Chicken McNuggets is folly. Judge Cochran's second most inculpatory piece of evidence was that a cell phone tower near FM 1097 and I-45 picked up a call from Swearingen at 3:03 PM. She added that the tower was well north of Swearingen's house and directly on a logical path to the Sam Houston National Forest. Judge Cochran once again misstates the evidence, this time seriously so. The intersection of FM 1097 and I-45 is not well north of Swearingen's house. It is slightly south. More significantly, the tower is so close to Swearingen's home that it is the one most likely to pick up any cell phone call Swearingen might place from his home. The call at 3:03 PM did not prove Swearingen was transporting a body to the Sam Houston National Forest. The call merely showed that Swearingen was near, perhaps even inside, his own home when he made the call. To deny relief to Larry Swearingen, the Texas Court of Criminal Appeals argued in circles, misstated the inculpatory evidence, and ignored exculpatory evidence. Most disturbingly, the CCA simply dismissed the affidavits and testimony of seven qualified doctors who stated with scientific certainty that Melissa Trotter was killed well after the date Larry Swearingen was jailed. Larry Swearingen was given a third date with the needle, this one on August 18, 2011. Rick Perry announced his run for the Republican nomination for president on August 13. Swearingen's execution could have posed Governor Perry a nightmarish political conundrum. If Governor Perry allowed Swearingen to be executed, he would have had to answer for allowing the execution of someone so clearly innocent as Swearingen. If, on the other hand, Governor Perry had in any way intervened with the execution, he would have been asked why he did not previously intervene when Swearingen twice came within a day of execution. Fortunately for Rick Perry, the Texas Court of Criminal Appeals stayed Swearingen's execution for a third time. The Court did so on July 28, just 16 days before Perry threw his hat into the presidential election ring. The Court claimed to have been provided "a new and separate allegation of a due process violation." The Court did not specify what that allegation might be.